Watch full Ginga Eiyuu Densetsu Season 2 Episode 15 English Subbed full HD online. Ginga Eiyuu Densetsu Episode 41 English Subbed online for free in HD. Operation Twilight of the Gods (RagnarÃ¶k). 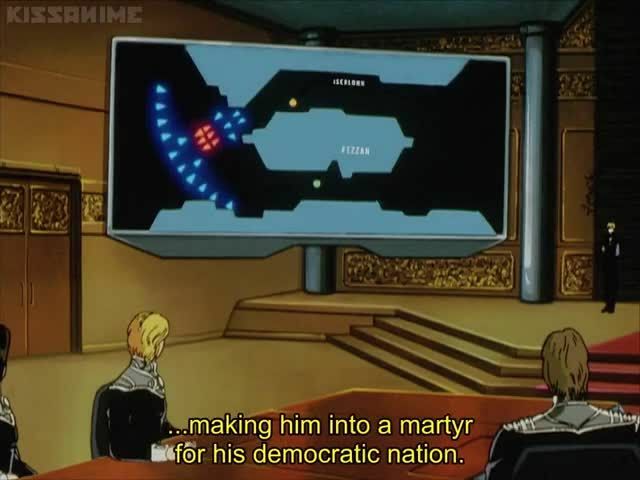 Admiral Bucock informs Julian that the alliance government is trying to divide Yang from his allies as a way of preventing any future power grab by Yang. Reinhard discusses his plans on using the Phezzan corridor with his Admirals, calling the plan Operation RagnarÃ¶k. Over one million ships are planned to be in the fleet. Reinhart speaks with Oberstein and discuss the use and eventually the expendability of Boltik, current Commissioner of Phezzan. Oberstein creates a secret police with Lang as the leader. September 20, 798 S.C. / 489 I.C. : 8 month old Catherine succeeds the throne of the Empire as the new Empress.